Services based on Internet-connected or smart objects, more commonly referred to as the Internet of Things (IoT), are gaining popularity and are already starting to make life easier. Examples include a house that powers down when no one is home, or when its owners give it an online instruction. But these applications are generally vendor-specific and can be difficult and costly to develop, scale up, and deploy. Likewise, adequate levels of security and privacy can be a challenge. The IoT, a virtual network of identifiable objects, or things, underpins the concept of connected living. As these smart devices increase in number, their potential grows, but so does the complexity of connecting and exploiting them. Eleven organizations from around Europe, representing industry, research, and academia, have joined forces with IBM for project COMPOSE to address these issues and unleash the full potential of the Internet of Things. The project is a three-year collaboration with the European Union. COMPOSE, which stands for Collaborative Open Market to Place Objects at your Service, aims to provide a framework for creating and hosting applications for connected mobile and stationary devices. This is in line with IBM’s general shift of moving technology to the cloud to inspire a new generation of applications. This year, the IBM Watson cognitive system is being opened up as a development platform in the cloud known as the Watson ecosystem. The COMPOSE platform will also encompass a complete ecosystem so that developing and marketing applications for enabled devices will be cost-efficient and simple. The solution will serve as a cloud-based design and execution environment, providing developers with a software development kit (SDK) and one-click deployment services, as well as with a runtime environment for configuring and executing services. Developers will be able to create applications to virtualize nearly any smart object into any type of service and to bring them to market, where they can then manage the apps’ distribution. Applications under development on the COMPOSE platform will go through a process of semantic enhancement so that each object will be able to understand all other objects and the information they provide. The solution will also ensure that the service objects are standardized, enabling the seamless integration of multiple objects and incorporating security and privacy. The first entails augmented shopping services to personalize the interaction between shoppers and stores. This will connect all aspects of the retail shopping experience, from supply-chain management to realtime shopping. Via connected shopping carts and geo-fences in stores, a supermarket shopper, for example, might get a recommendation to buy tomatoes and onions after he puts a box of pasta in his cart, because his wife liked a certain sauce recipe. Then he might be sent a coupon for the juice he usually buys as he passes that aisle. Another use case will showcase COMPOSE technology in Barcelona, Spain, where it will provide citizens with services based on combining data from existing sensors with information provided by the municipality. The services will include an advanced route-planning system that will take into account information about charging and gas stations, ride-sharing opportunities, parking, traffic, and public transportation. The third use case focuses on tourism in Trentino, Italy. The Trentino tourist experience will be enhanced in real time with personalized, social- and environmentally-aware web and mobile services. This might include hosting virtual competitions, or providing information about which ski lifts are the least crowded or which trail suits a skier’s level. The group expects to release the first version of the COMPOSE platform later this year. 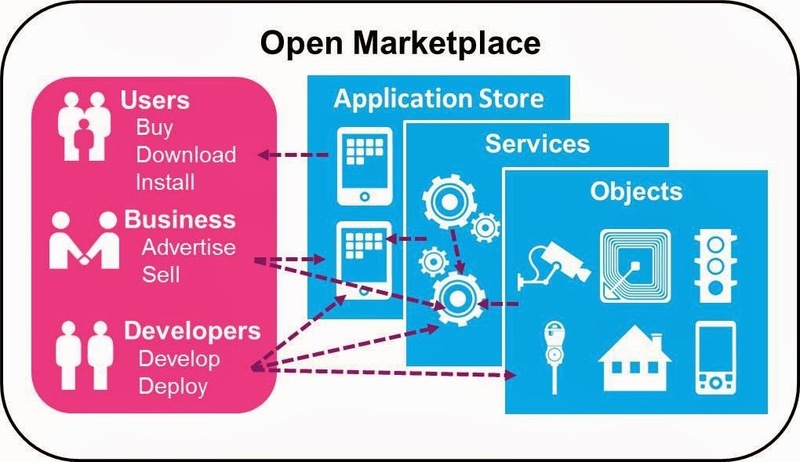 Individuals and enterprises will be able to introduce new business models based on the object market concept, and major information and communication technology players, particularly cloud service providers and telecomm companies, will be able to reposition themselves within a new IoT-enabled value chain. When does science become art?